This Webinar Series starts on Tuesday next week, so reserve your seat now! Working with the best AMCs, negotiating your own fees, and enjoying a better process–one that meets your income expectations–gives you more power and more choice. Space availability is limited to the first 100 registrants, so register now to reserve your spot! 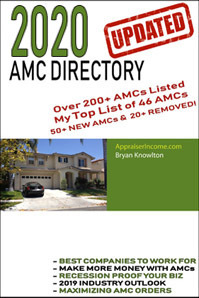 Maximizing AMC Orders and Income will be presented in two segments by appraiser Bryan Knowlton, author of the 2012 AMC Guide: The #1 source for locating the best AMC work for appraisers. 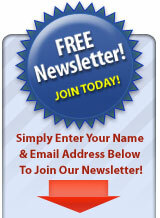 ***If you qualify for a discount, click here. *Setting Your Course: How much work do you want? This entry was posted on Friday, February 24th, 2012 at 3:47 pm and is filed under Appraiser Marketing. You can follow any responses to this entry through the RSS 2.0 feed. You can leave a response, or trackback from your own site.